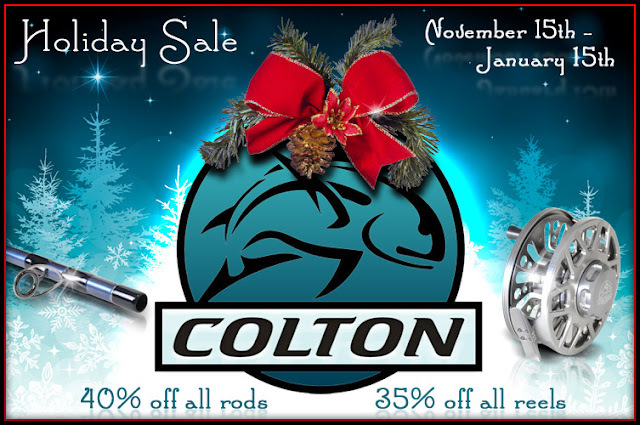 The Colton Holiday Sale is going on now through January 15th. If you are looking for a new fly rod and reel combination for yourself or for the fly angling enthusiast on your Christmas list, Colton has you covered. Rods and reels for both freshwater and saltwater fly fishing and ranging from 2 weight up to 17 weight. Colton has a fly rod and reel for any fishing situation. Click on the image below to go directly to the Colton website and check out the full line of fly rods and reels available. Please tell Bob Captain Mike sent you. Read out your full article. Such an informative and amazing post. Thanks for sharing. Before buy any kind of fishing gadget or tools do some research so that your money don't get waste.